A federal judge in Texas has issued a nationwide junction blocking the Department of Labor’s rule requiring overtime pay for more than 4 million new workers. The judge rejected the government’s plea to hold off on an injunction, saying the states would suffer immediate harm as they were forced between raising the salaries of thousands of managerial employees or cutting back on services and work hours. The rule can await a trial on the merits, he said. The judge also rejected the states’ argument that overtime rules don’t apply to them at all. The U.S. Supreme Court has ruled that labor laws do apply to the states, and while that decision is in dispute and has been hemmed in a bit by subsequent rulings it is still the law, he wrote. Given Donald Trump’s victory and the Republican takeover of both houses of Congress, it is unlikely the Labor Dept. will be able to revive this rule, which like a string of other rules appeared to be a direct favor to labor unions. 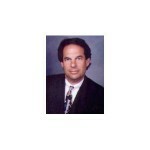 Author: Norm BlumenthalNorm Blumenthal attorney for workers and consumers. Selected as the one of the Top Attorneys in Southern California.